Jose took us to the most beautiful field with an amazing tree in the San Ysidro mountains and I knew that this was my dream come true! A perfect wedding, an amazing husband, and an opportunity to take photos after 4 months of blissful marriage in the location that looked like a postcard. I am one lucky girl! 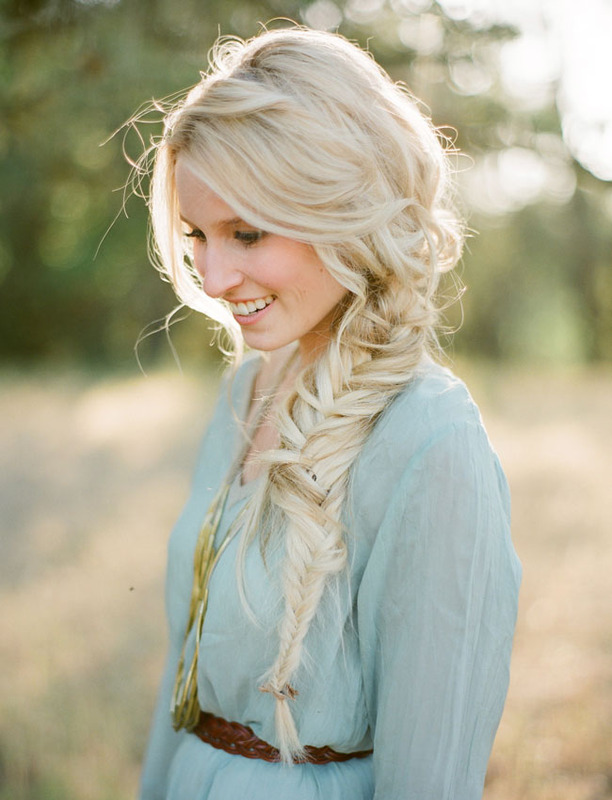 We’re totally pinning that fishtail braid to our Pretty Hair board! 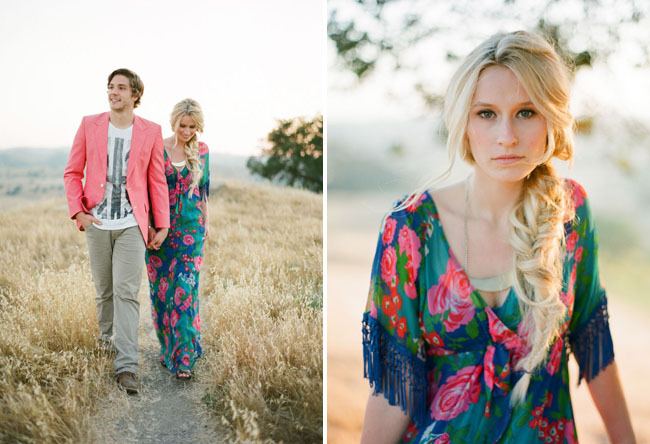 Yes to Brooke’s gorge dress + Trevor’s rad, coral blazer! Trevor and I met in high school, where we became friends, went to Prom together, and began dating shortly before I was going to graduate from high school. Against all odds we successfully dated long distance for 3.5 years, he in Santa Barbara, California playing baseball and I in Fort Worth, Texas, visiting each other about every other month. When I came home for Christmas break my junior year, we went to his grandparent’s house for a yearly tradition of opening white elephant gifts. Nothing out of the ordinary except for the fact that he was adamant about me dressing warmly, which I thought was a bit excessive but I get cold easily so I figured he was just being sweet. He suggested that we take a different ferry back home so we could see the Seattle skyline all lit up at night. We parked our car and spent some time in the main cabin taking pictures of the city on an unusual perfectly clear night. He asked if I wanted to go up to the open-air deck and get a better picture. As someone who is always chasing “the better photo”, I of course said yes. We braved the cold and made it up to the front deck, the city of Seattle looming ahead of us. 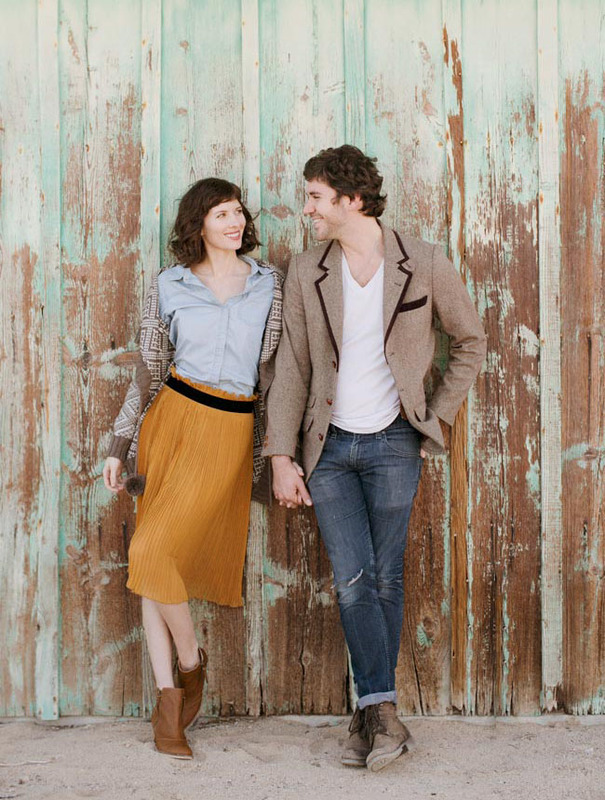 I was in no way expecting him to propose anytime soon so when he started telling me how much he loved me and how I was his best friend, my honest-to-goodness thought was, “Wow, I have such an amazing boyfriend. He is so sweet!” This was then quickly followed by my amazing boyfriend getting down on his knee and asking me to be his wife. I could not have thought of a more perfect proposal. Big congrats, guys! And best wishes from team GWS! Like the gorgeous hair style of the girl.